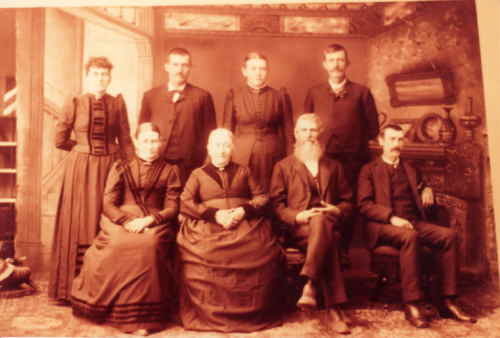 This is a photo of the Gibson family – taken in the 1880s in Trempeleau County, Wisconsin. Daniel Peter Gibson is my 2nd great grandfather and is in the back row – 2nd from the left. William H Gibson and Jane McGregor – my third great grandparents – are seated in the middle in the front row.